Humankind has always dreamt about the Moon. From the earliest novels, such as Jules Verne’s From Earth to the Moon in 1865 and H.G. Wells’ The First Men in the Moon in 1901, to countless films, television shows, and digital media of the present day, the Moon has served not only as a goal to arrive at but a stepping stone—someday, to other planets, stars, and galaxies. We have climbed Earth’s highest mountains and we have explored our deepest oceans. Thanks to our desire to visit the Moon, we have own to the edge of space. But this is not where our dreams end. Humanity now looks to take the next step into the great unknown. Venus rains sulfuric acid and Mercury is too close to the Sun, so we look to Mars. And the Moon is how we’ll get there. At its closest orbit to Earth, Mars is an eight- month trip away. It is a difficult mission, with contingencies and possible dangers still being conceptualized. 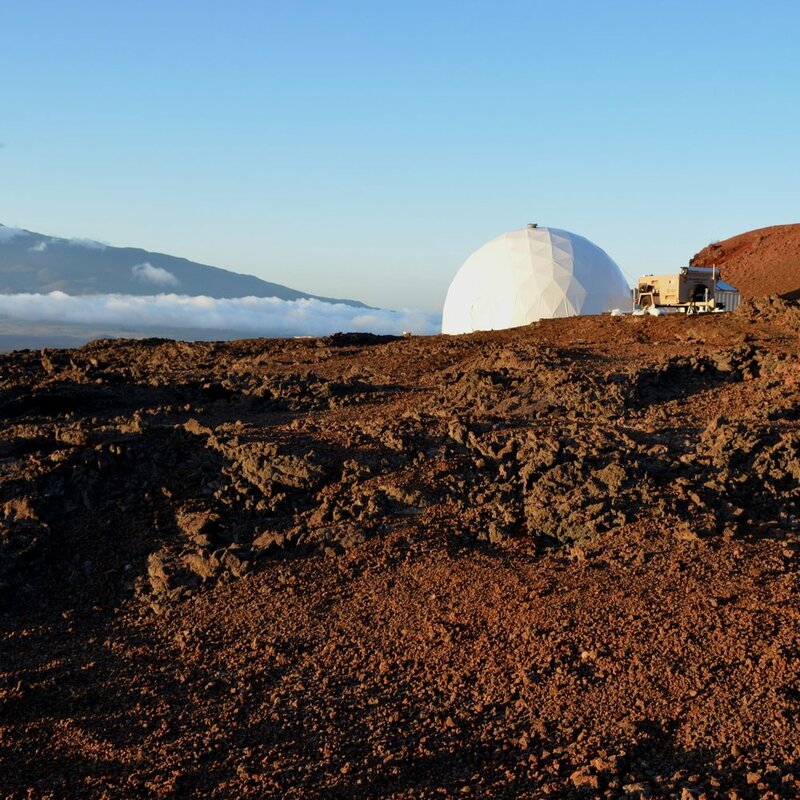 For the first astronauts to travel to the Red Planet, NASA estimates it will be a one-way trip. Meanwhile, the Moon is right next door. Using 50-year old technology, it would take a shuttle simply three days to get to the Moon. It is the closest, safest, and cheapest place to travel and set up an outpost. Humanity will no doubt one day get to Mars. But we must practice for that much more difficult mission by traveling to the Moon and learning how to survive there first. In 1955, the United States and the Soviet Union entered into the first Space Race to prove whether Capitalism or Communism was the better system of government. However, these reasons have never been why humankind has explored and settled anywhere. 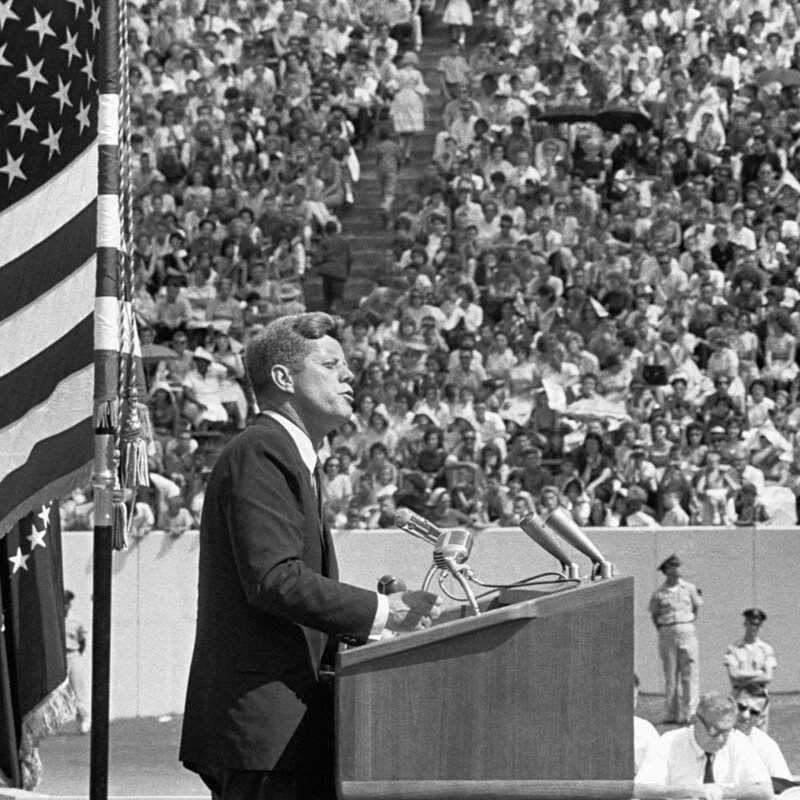 In 1962, when President John Fitzgerald Kennedy historically announced the goal of traveling to the Moon before the end of the decade, he issued a challenge intended to invigorate the American people to embark collectively on this journey. On July 20, 1969, Neil Armstrong and Buzz Aldrin became the first human beings to step foot on the Moon, the moment commemorated by Armstrong’s now historic phrase: “One small step for [a] man, one giant leap for mankind.” Humanity thought this would be the first step to colonizing the Moon. It was—but not for some time. The Space Race was exactly that: a race. It was about leaving a footprint, not building an outpost. And having won the race in 1969, America turned to other pursuits: fighting wars, curing diseases, and becoming a global superpower. Half a century later, the time has finally come for humankind to return to the Moon. This time, to build a permanent settlement. From 1969 to 2018, things have changed in the world. A number of countries have developed space agencies with goals of building permanent settlements on the Moon. Besides the United States and Russia, this includes China, India, and countries throughout Europe have plans of building a “Moon Base,” “Moon Village,” “Lunar Outpost,” and other types of permanent establishments. They are joined by private companies, such as SpaceX, Blue Origin, United Launch Alliance, and others, which have begun down the path of creating affordable launch systems. The advent of reusable rockets has helped to bring the cost of launching satellites down to the point where almost any organization or government can now launch hundreds of their own satellites into Earth’s low orbit. The projected cost of bringing materials to the Moon has entered the realm of private enterprise. Modern companies have begun touting lunar systems that can land and deploy small payloads on the Moon’s surface. No doubt within the next decade, there will be the creation of a rocket that can take off from the surface of Earth, land on the Moon, take off from there, and return to Earth. When the world came to the realization that we were entering the age of flight, we began building airports. Now that we have reached the age of space flight, we must begin building spaceports. The Space Age did not end in the 1960s; it is only just beginning. We have sent satellites to take highly detailed photos of every part of the Moon. We have sent landing craft to sample lunar dust and rock to understand its composition—that the Moon’s geology is similar to Earth’s oceanic basalt crust. We have sent astronauts to verify and further our knowledge of what the Moon is made of, even going so far as to arm them with a vehicle so our explorers could travel and collect samples far from the landing zones. We have even crashed a spacecraft into a dark crater to prove there is ice on the Moon—and therefore water. Enough water to support thousands of people living there, growing food and making hydrogen (for energy storage and rocket fuel). We know that the moon has the materials necessary to build structures that can contain atmosphere and therefore, human beings. We have accomplished all this in preparation for the settlement of the Moon. We now understand that everything we need to survive on the Moon is already there. In other words, we are ready to go. It is said that humankind has an “explorer” gene. Whenever human beings settle in a location, a small group breaks away and sets off to explore and settle lands beyond the horizon. It is a survival technique; should things change for the worse in any environment previously settled, humans that have adapted to life in other places will survive. We can (and have) survived in the harshest of climates, living off the strangest diets, and doing whatever was necessary to stay alive. The study of anthropology and archeology point to the origin of mankind as somewhere in Africa. We explored and colonized our way up the Nile River Delta, the “cradle of civilization” and crossed into the Middle East. From here, we explored Europe and Asia, ultimately crossing the Bering Strait and arriving into North and South America. The last wave of human exploration faced the most daunting of all the voyages: traveling across the Pacific Ocean to the most isolated islands on the entire planet. This was a journey undertaken before the inventions that enabled modern European navigation, such as the compass, clock, and sextant. In the greatest feat of seamanship, at the furthest point away from Africa, the Polynesian explorers voyaged across thousands of miles of open ocean in dugout canoes using only celestial navigation and dead reckoning. With the help of Tahitian navigators, they arrived at the Islands of Hawai‘i, the last gathering place of humankind. Today, Hawai‘i is a melting pot of Polynesian, Pacfic Rim, European, West and East Coast cultures. There is no ethnic majority—all races, religions, and cultures are welcome and assimilated—there are only locals. This is the culture of the future. This is the culture of the Moon and of Mars. The Hawaiian Islands were created from lava and crust that rose up out of a “hot spot” deep in the Earth’s mantle. The Moon and Mars are primarily made out of the same material as the volcanic Islands of Hawai‘i: oceanic basalt. If we are going to build structures on these planets, we should learn to build them out of the same materials we will find there. The answer is Hawai‘i. Because while Hawai‘i is the most remote set of islands in the world, they are also part of the United States. This means political stability, access to U.S. infrastructure, and the protection of the U.S. military. 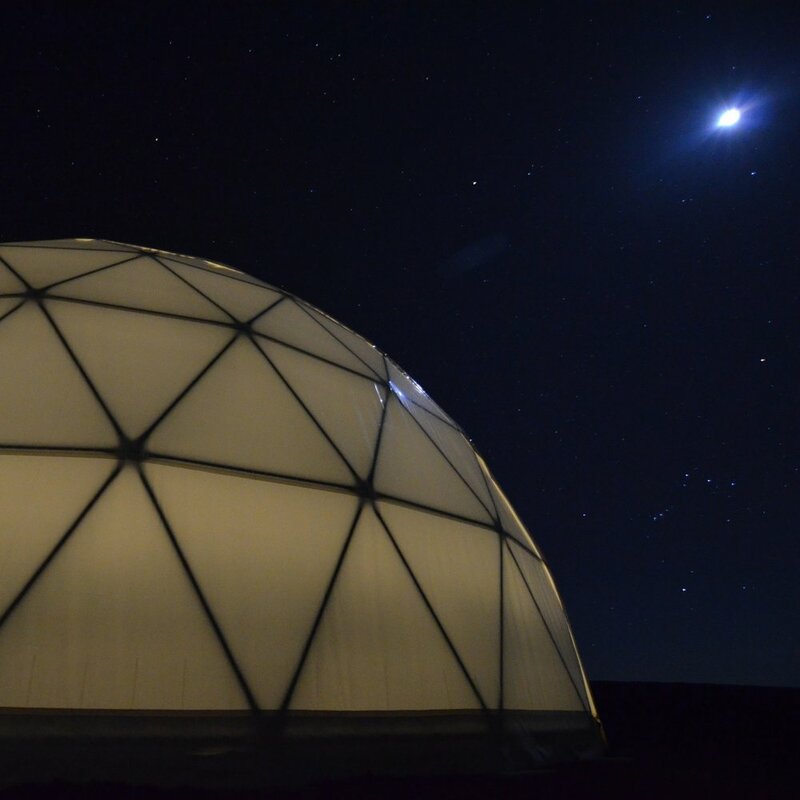 The proposed site for a lunar settlement prototype on Hawai‘i’s “Big” Island is less than an hour from two major seaports and airports; less than an hour from housing to higher education to world-class engineering. It is here that some of the highest technology telescopes in the world are located. In other words, this location is able to support the highest levels of technology while providing the highest and safest standard of living to engineers and support staff. The first human habitats on the Moon will probably be capsules transported by rocket ship. The world waits as NASA, SpaceX, and Blue Origin construct the huge lifting capabilities needed to transport the early life support systems to the Moon. But there is much we can do before this happens. We can send smaller payloads on private launch vehicles to the Moon to prepare things for human arrival. These payloads will contain all the machinery needed to build a MoonBase. And the plan is to create a prototype Base in Hawai‘i. Before we build anything on the Moon or send robots to build something, we will have to practice here on Earth. We must practice the sintering of regolith (dust from the Moon and Mars). We must practice robotics and AI. We must practice pressurized architecture. Where should we do this?